High voltage connector is used for high-voltage transmission equipment, usually used for industrial transmission of high-voltage, used for transmission of power cables between 1 kV and 1000 kv, mostly used for power transmission and distribution. There are also high voltage connector for medical diagnosis of X-ray machines. There are 75KV and 90KV high voltage connector for X-ray machines, which can be used in industry and medical treatment. On medical X-ray machines, 90 KV high voltage connector are used for 150 KV balls and 75 KV high voltage connector are used for 125 KV balls. 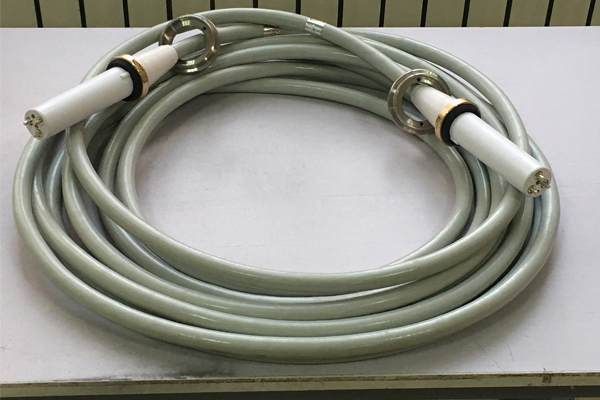 Customers need high voltage connector length is not fixed, Newheek high voltage connector length can be customized between 2-16 meters.